In the new DIL Expedis series, NETZSCH Analyzing & Testing is introducing a completely new conceptual design for the displacement transducer principle in dilatometry. The new measuring system, “NanoEye” – based on the interaction of an optoelectronic measuring sensor and force levels which can be applied with precision by means of an actuator – is at the heart of this new instrument series. 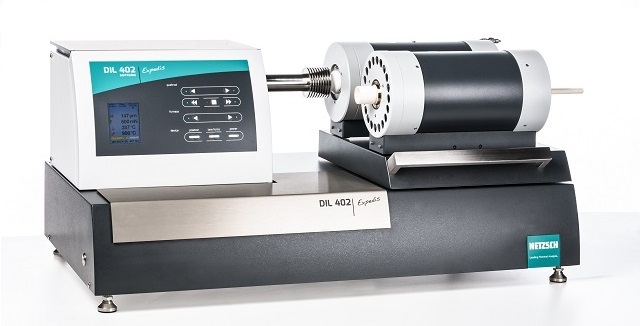 This allows for the application of constant force, independent of the expansion or shrinkage of the sample, between 10 mN and 3 N.
But NanoEye offers even more. Until now, any expansion of the measuring range ruled out a consistently high resolution. NanoEye, in contrast, offers an unprecedented resolution of up to 0.1 nm over the entire measuring range of up to 50 mm – and all of this with perfect linearity. NETZSCH not only makes dilatometer measurement more precise, but also simplifies its processes – from correct sample insertion to starting a measurement. 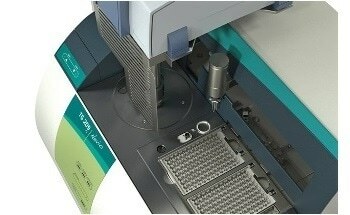 The new MultiTouch function helps the user to position the sample correctly after insertion. Additionally, the sample length no longer needs to be determined manually. The DIL 402 Expedis takes on all of these tasks automatically. The ability to apply a minimal contact pressure of 10 mN to the sample allows even soft and fragile samples to now be measured effortlessly. In the past this was only possible by optical dilatometry. The Expedis instrument series stands for ultimate flexibility. The vacuum-tight Select and Supreme models can be optionally equipped with a second furnace for a temperature range between -180°C and up to 2000°C. This opens the door for a wide spectrum of applications. By the very nature of its compact design, the Expedis sets itself as a new generation of instrument. Through the integration of peripheral instruments like gas supply, power unit and thermostat, it ensures a tidy work station from the outset. For more information on the NanoEye, please visit: www.netzsch.com/n22856.